Earn through Adf.ly is a new and unique way of earning online. This website allows you to shorten the links and you will get paid for this. You must be thinking how you will earn by shortening links. Right? In this era, no business is promoted without advertisement. When a website is created on internet, it's registered on the search engines so that there'll be more users. The traffic can also be increased by link exchange. You have read about Google Adsense, adf.ly is also an advertisement program like Adsense but it's very different in terms of usage. You will need to make an AlterPay account as your earnings will be granted to you via AlterPay. AlterPay is an online bank, there are many other banks too but they aren't allowed in Pakistan. Only the services of AlterPay are allowed in Pakistan. You can click the banner on the bottom and make an AlterPay account and then make an adf.ly account. What you have to do while sharing the link of any website; you can paste that link on Adf.ly first and click the shrink button. The link generator will shorten the link and you can share that short link with anyone and when they will click on that ad, they will be redirected to an ad first by Adf.ly and then they can click "Skip Ad" on the top right side of the screen and then visit the original link. This way, you will get your commission. 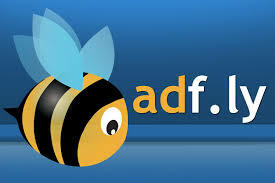 If you have your own website, there too you can use adf.ly links instead of original link. Get Your Payoneer Card with $25 Free! 07 easy ways to Students make money quickly in Pakistan?